Pediatric dentistry is an area of concentration that is constantly changing, evolving, and being improved upon but one thing that never changes is the importance of fluoride in your child’s care routine. The qualified team at Smiling Kids Pediatric Dentistry Noblesville knows what it takes to make sure your child’s smile not only looks great but is healthy as well. For those that are looking for a great doctor for their kids in the Indianapolis, IN area can rest assured that Dr. Singh knows kids and she knows how to take care of their teeth. Most dentists today use fluoride, either in liquid form that is used as a rinse or in a painted on varnish form that is used to help protect the teeth from decay. Fluoride is a naturally occurring substance that is found in the Earth that can help slow and reduce tooth decay. Fluoride is often added to toothpaste that we use every day making continued fluoride coatings in adult teeth not necessary. Fluoride is often painted onto children’s teeth to help concentrate and harden the enamel. By adding fluoride to the diet and drinking water, it can be added to a child’s system before their teeth emerge to help make sure that the teeth that are emerging are healthy. 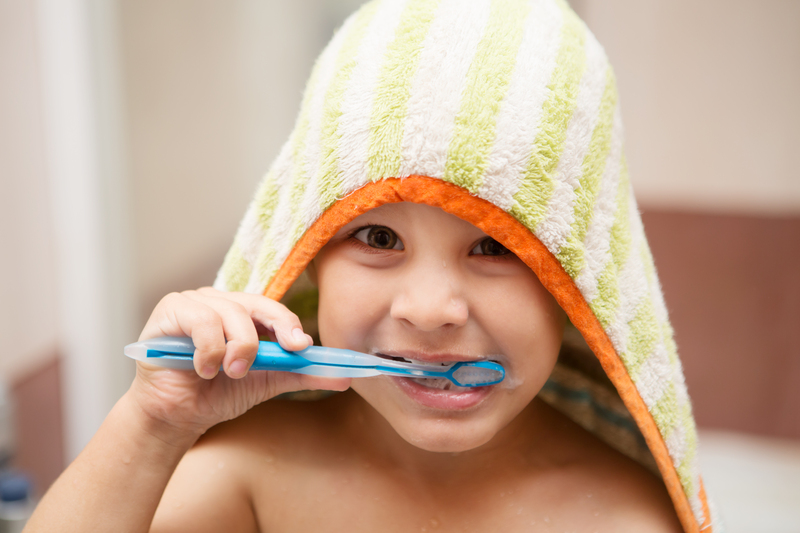 Why is Fluoride Important to Pediatric Dentistry? Fluoride is a crucial part of pediatric dentistry because it helps make the teeth that are growing stronger. Fluoride helps to harden tooth enamel and add calcium and phosphorous to the teeth to help keep enamel strong. Fluoride keeps your teeth not only looking great but also feeling great and healthy. For those seeking an Indianapolis Pediatric Dentist, the team at Smiling Kids Pediatric Dentistry Indianapolis and Dr. Swati Singh is experienced and dedicated to making sure that your child’s teeth are going to be strong and resist decay. Though regular brushing is the first line of defense when it comes to keeping tooth decay at bay, your child’s dentist can also add a fluoride coating to immature teeth to help harden the enamel, keeping them intact and free of decay so that the teeth beneath can grow and become strong. Can I Get Fluoride in Other Places? Though fluoride is going to be a critical part of your children’s dental visits, you can get fluoride in other places. Most drinking water in our country contains fluoride which helps people get the recommended amount of fluoride even if they are not getting their teeth coated at the dentist. You can also get fluoride from some foods and drinks, but it is going to be a much smaller amount than in the drinking water. The most common place that you are going to find fluoride is going to be your toothpaste which will keep your teeth healthy and strong.